Today I added a headstone photograph to the page of Riverside Cemetery, Moser River, Halifax County, NS. 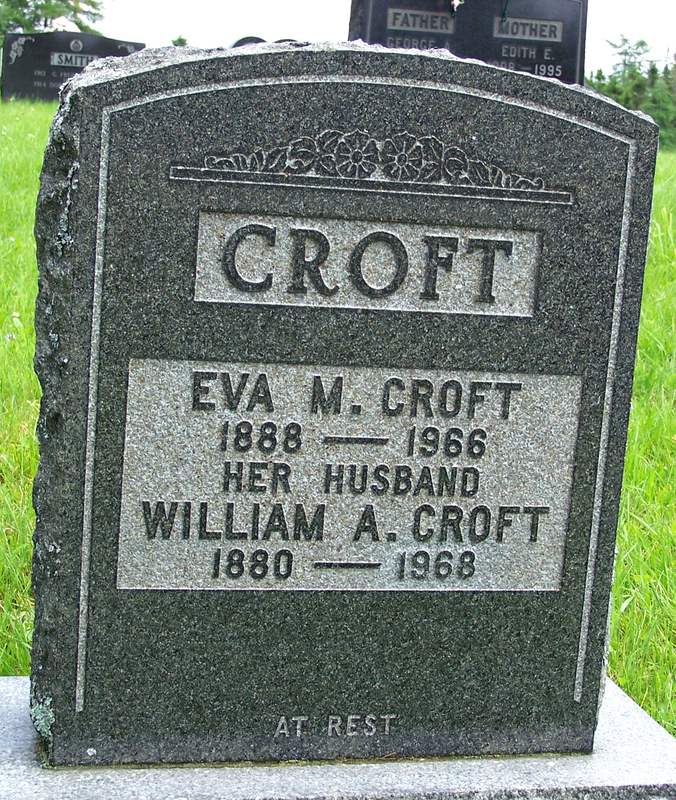 According to their marriage record, Eva May McDonald and William Angus Croft wed on October 16, 1907 at Halifax County, NS. Eva was 19 at the time. She was born at Moser River, the daughter of Jane Unknown and John McDonald. Angus was 23 at the time of marriage and was working as a lumberman at Moser River. He was born at Bridgewater, Lunenburg County, NS. His parents were not recorded in the record. Eva’s death record will be available on the Nova Scotia Genealogy website in July 2017. Balcom, Thomas M.: Born August 22, 1867 at Salmon River, Halifax County, NS, the son of Catherine O’Leary and Edmund Balcom.